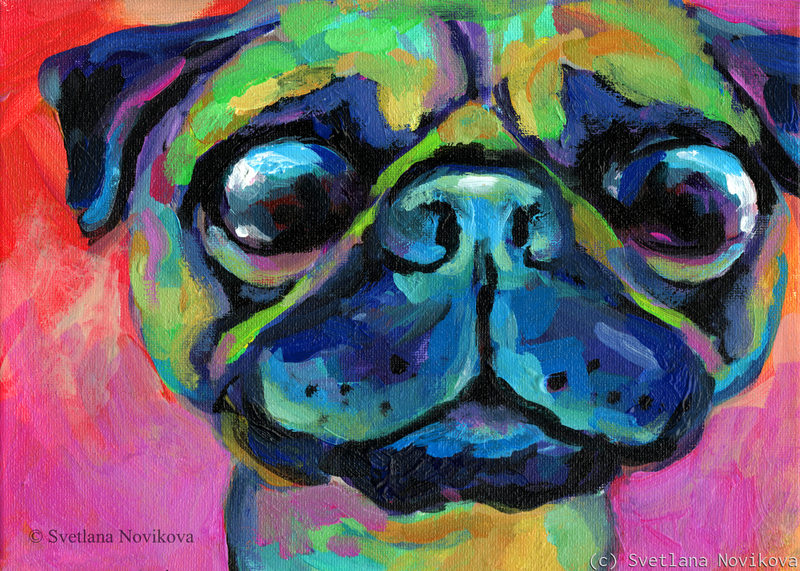 Colorful Funny big eyed pug dog, acrylic on canvas, 8x10, signed by Svetlana Novikova. Copyright (c) Svetlana Novikova. Colors may look slightly different on your monitor (image is enhanced for printing). Original is available for sale.